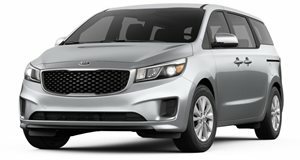 The Kia Sedona minivan offers a strong combination of practicality, specification level and performance at a price that undercuts most of its rivals. It has been around for a little while now but these plus points still make it a strong competitor and for 2017 the addition of mobile phone integration as well as some safety and convenience features help keep it in the running against newer competitors. The Sedona feels like a quality piece of kit from the driver seat, the dashboard, controls and upholstery all look and feel upmarket and match up well to anything else in this segment. Higher trim levels really do feel quite luxurious with the available leather upholstery. Comfort levels are good in all three rows although the rearmost row would be best suited for teenagers on longer trips. The second row seats do collapse into the floor or fold flat against the front seats however the system is not quite as easy to use as some rivals’ solutions. The third row seats can be folded flat into a cavity too which makes for a large cargo area and when they are up that space can be used to stash various loose items. When all the seats are up though the available space for cargo is slightly less than in the competition. The Kia Sedona handles and rides in a confidence inspiring manner, it may not be able to deliver a sporty drive and razor-sharp responses of a sports sedan but that hardly matters in this context. What it can do is ride smoothly over broken pavement and keep noise levels impressively low even at highway speeds. It takes corners and comes to a stop in an equally controlled fashion and the Sedona comes across as a well-engineered and competent package. The Kia Sedona is available with a 3.3-liter V6, pushing out 276 horsepower and 248 lb-ft of torque. Mated to a 6-speed automatic transmission which transmits the power to the front wheels, it provides strong acceleration and good overtaking ability that matches or betters the majority of its competitors. Where the Sedona does fall short of its rivals is when it comes to its fuel economy, lower trim variants can manage 25mpg in highway driving but the top SXL trim gets only 22mpg. The Kia Sedona is available in 5 trim levels, the base L trim offers 17-inch alloy wheels, air-conditioning with rear controls, cruise control, Slide-N-Stow second row seats and a 5-inch touchscreen with rear camera display. The LX adds 3-passenger seating to the second row of seats (allowing for a maximum of 8-passengers) , 10-way power driver seat and upgraded audio system. The full range of safety devices can also be optioned from the LX trim upwards. The SX trim level adds an 8-inch touchscreen, Infinity 8-speaker audio with subwoofer, ventilated power front seats with memory function. The 3-passenger second row seating becomes optional on the SX trim level. Safety is bolstered too with standard blind-spot detection and a rear cross traffic alert system. The EX trim is worth stepping up to for value-minded shoppers as it adds some desirable features for a reasonable outlay. 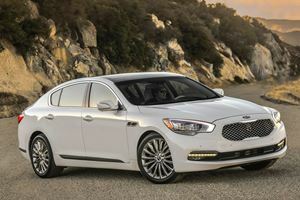 Notable additions are power tailgate, keyless ignition and entry, leather upholstery, 7-inch display (incorporating Apple CarPlay and Android Auto), rear parking assist and heated front seats. The top SXL trim ramps up in price and standard specification. A heated leather/wood wrapped steering wheel, adaptive xenon headlights and adaptive cruise control are also complemented by a comprehensive set of safety devices such as lane departure warning and autonomous emergency braking. Notable available extras for the SXL are first-class style second row seats and Nappa leather upholstery. Well-equipped, well-built and with performance to spare the 2017 Kia Sedona remains a strong minivan contender. The excellent Kia warranty is another drawcard although it does have below average fuel economy, a tight cargo area and a less convenient rear seating solution than some competitors.